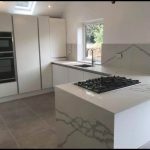 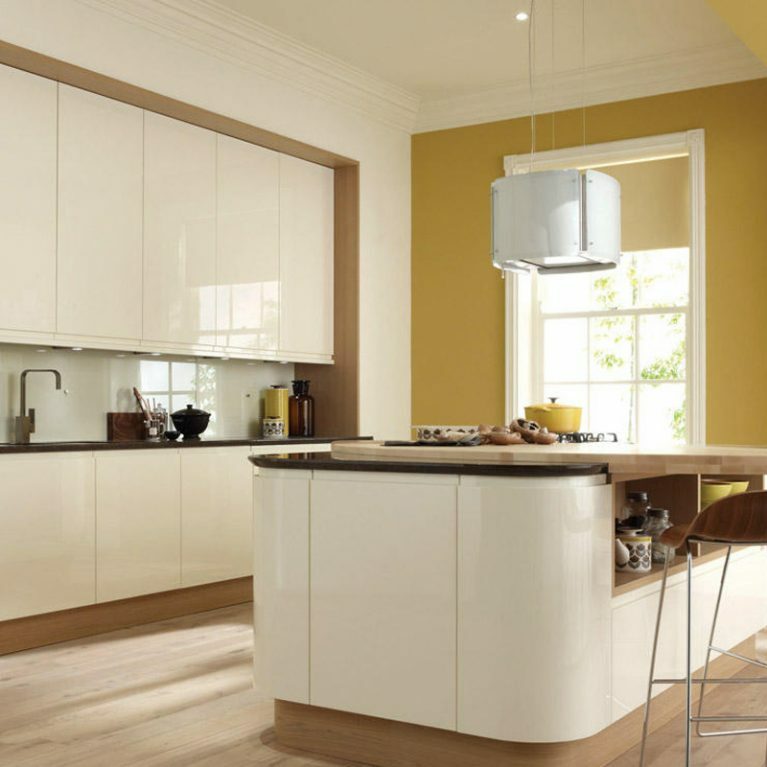 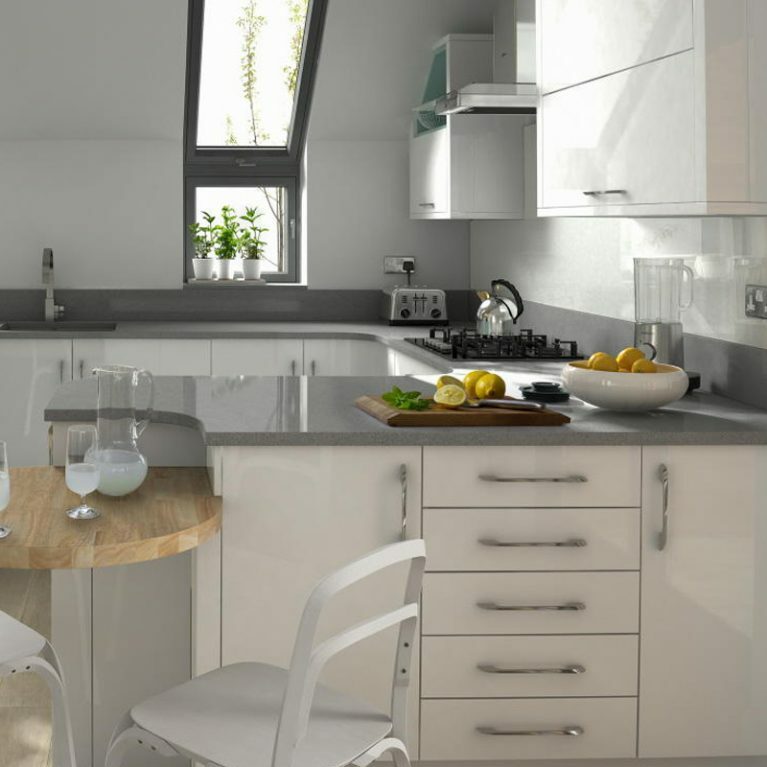 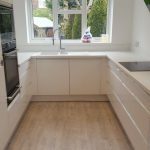 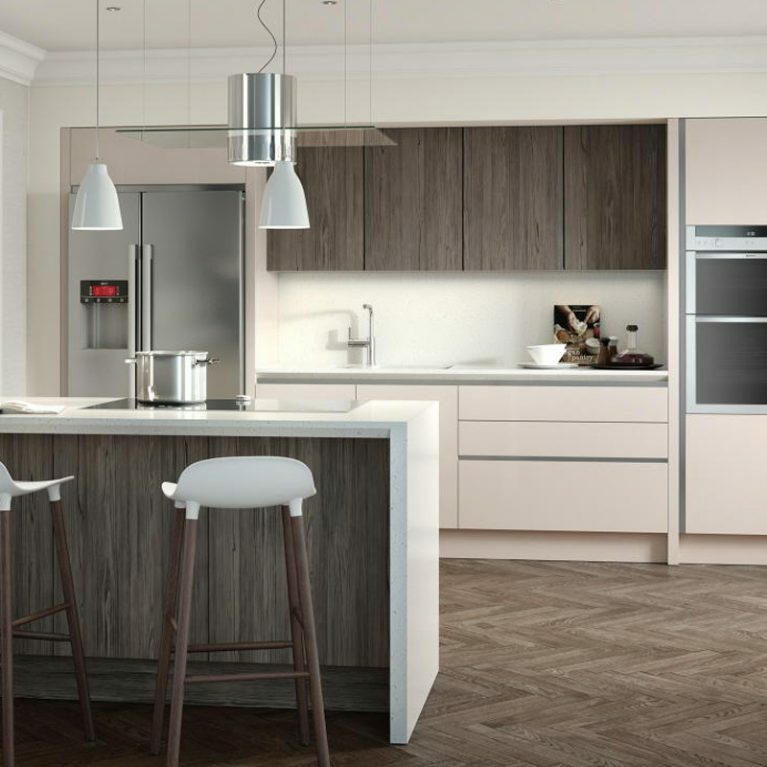 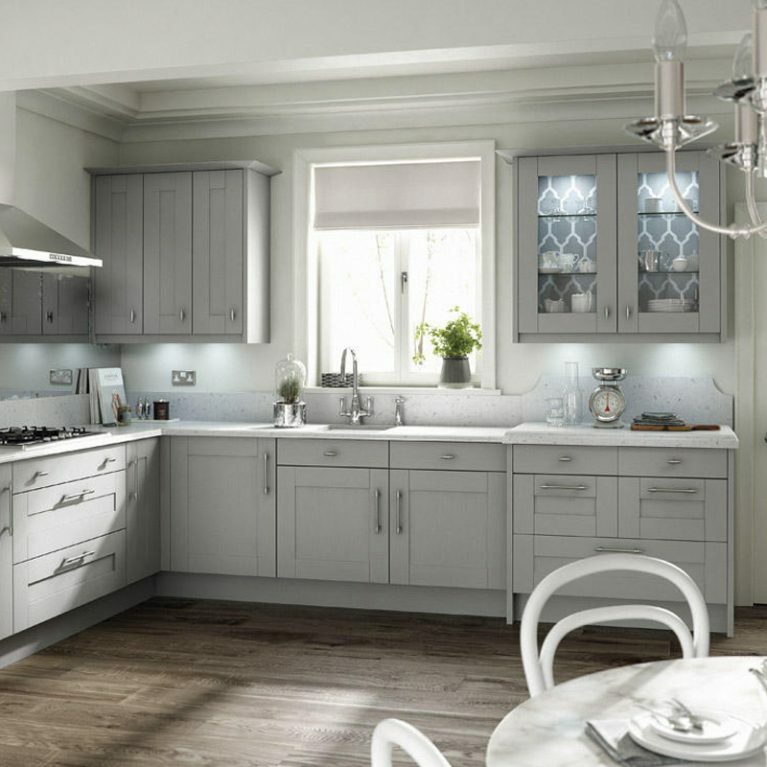 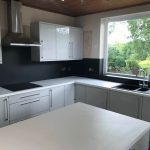 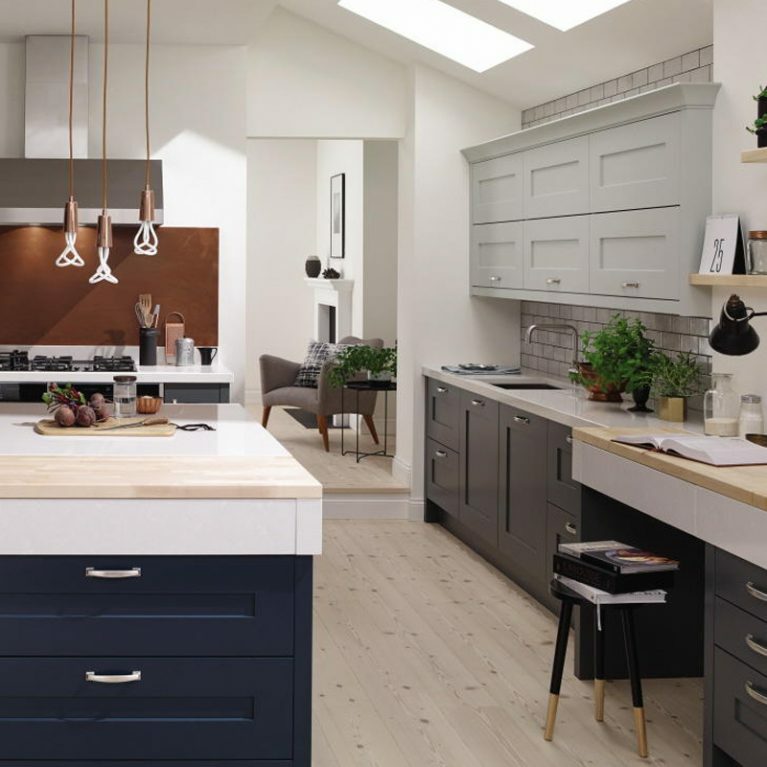 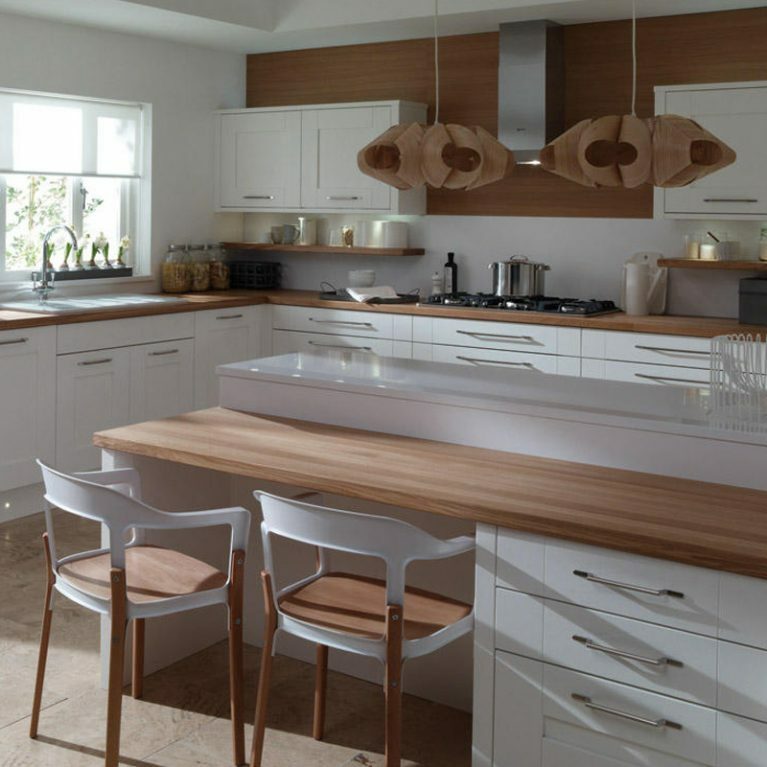 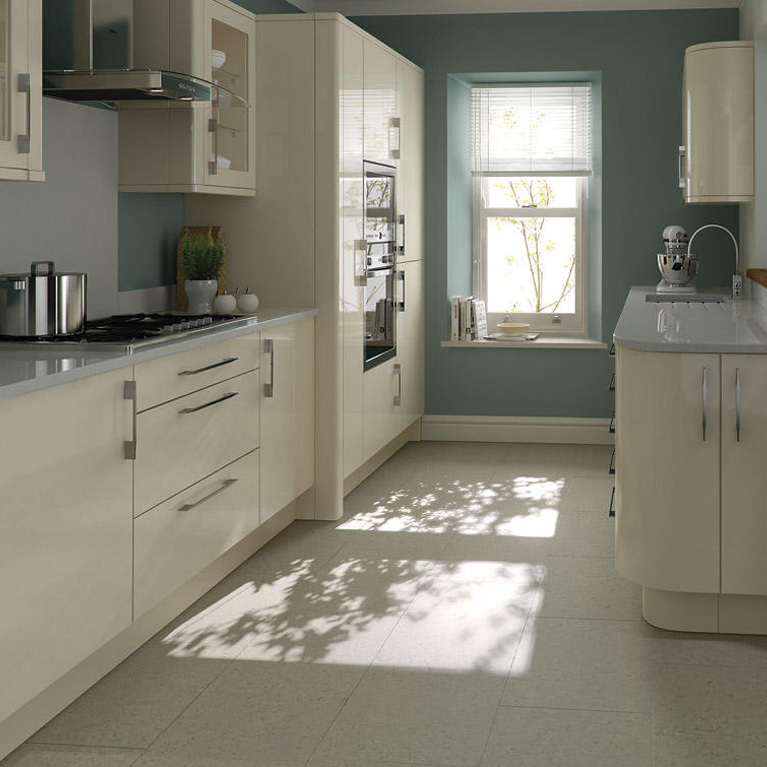 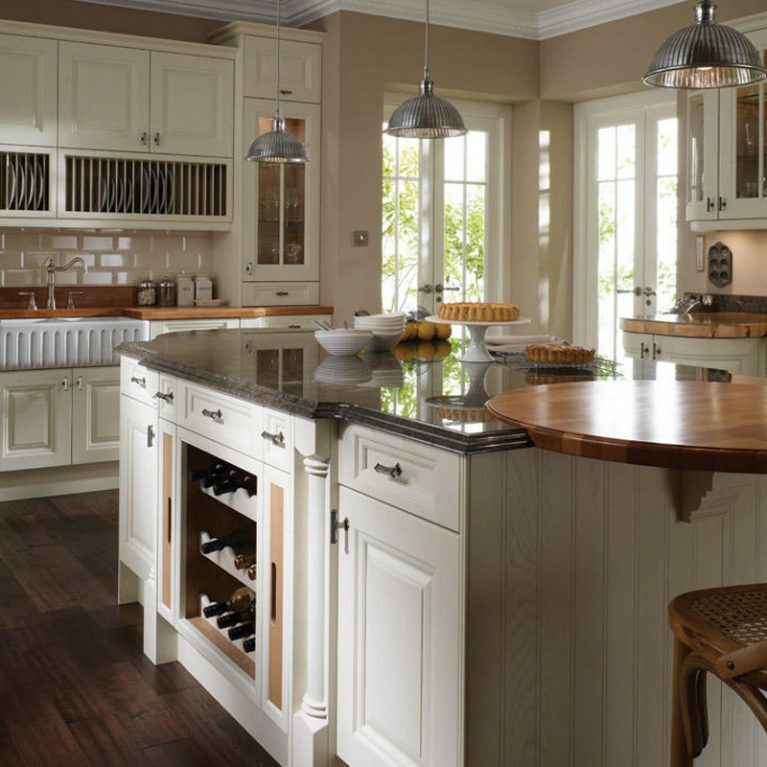 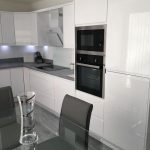 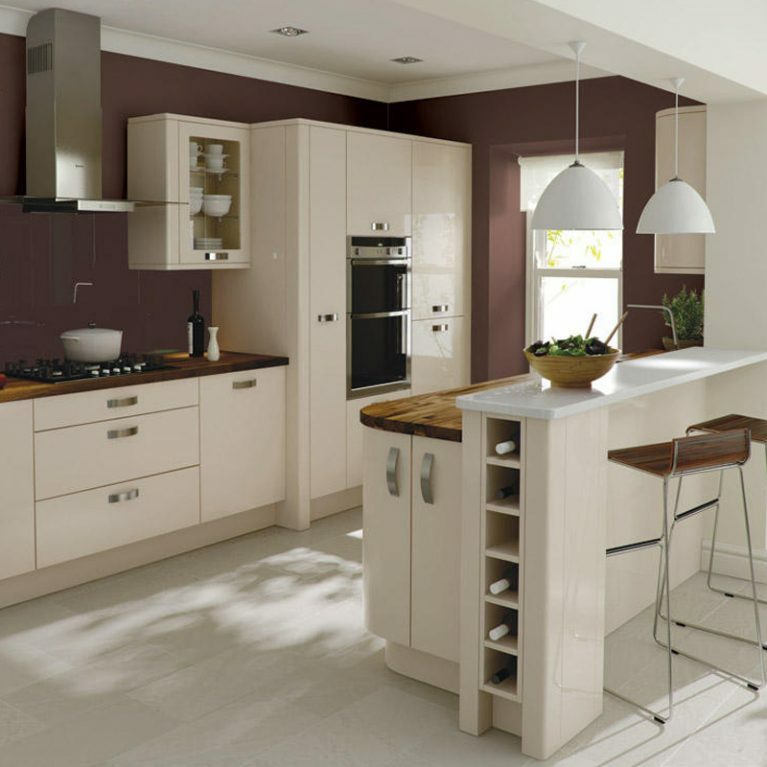 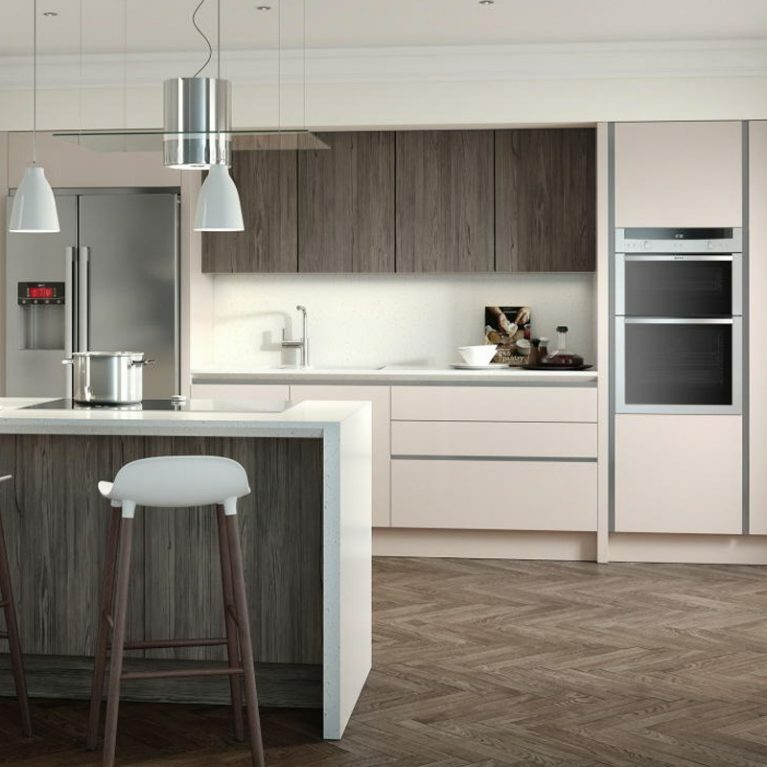 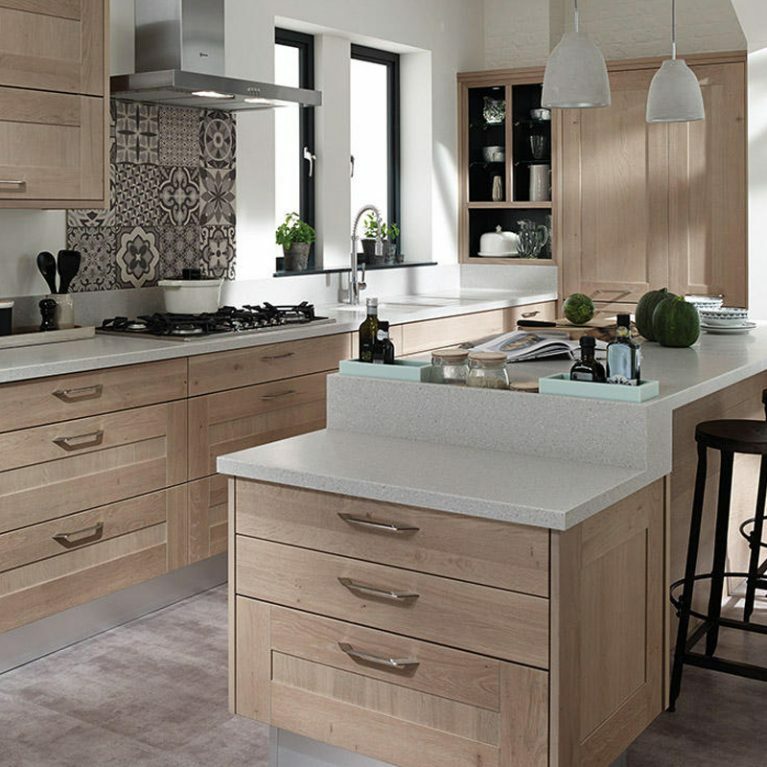 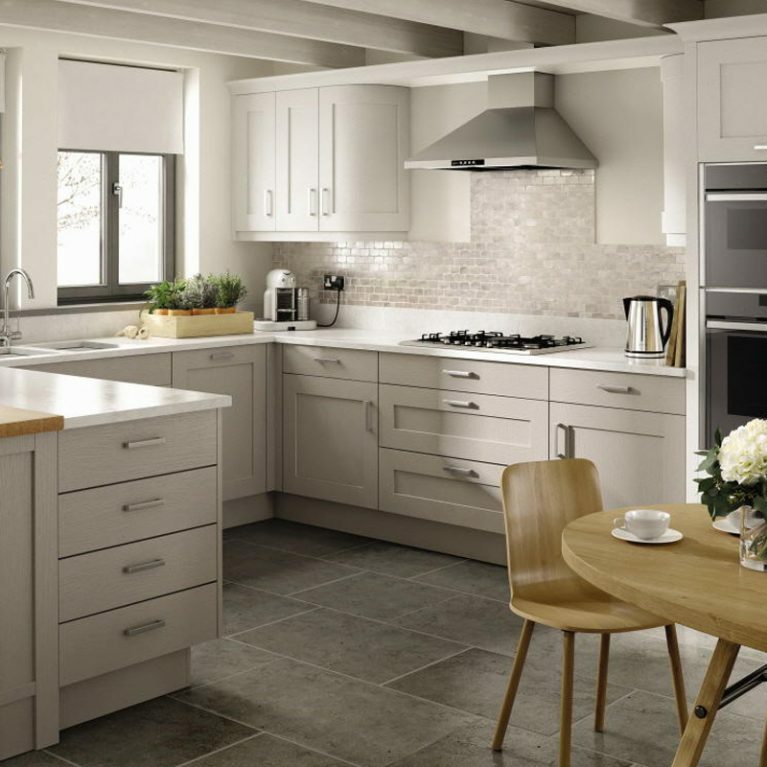 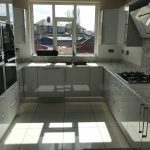 The colour white and contemporary kitchen designs go hand in hand like peanut butter and jelly, offering a truly timeless look that is guaranteed to go down well. 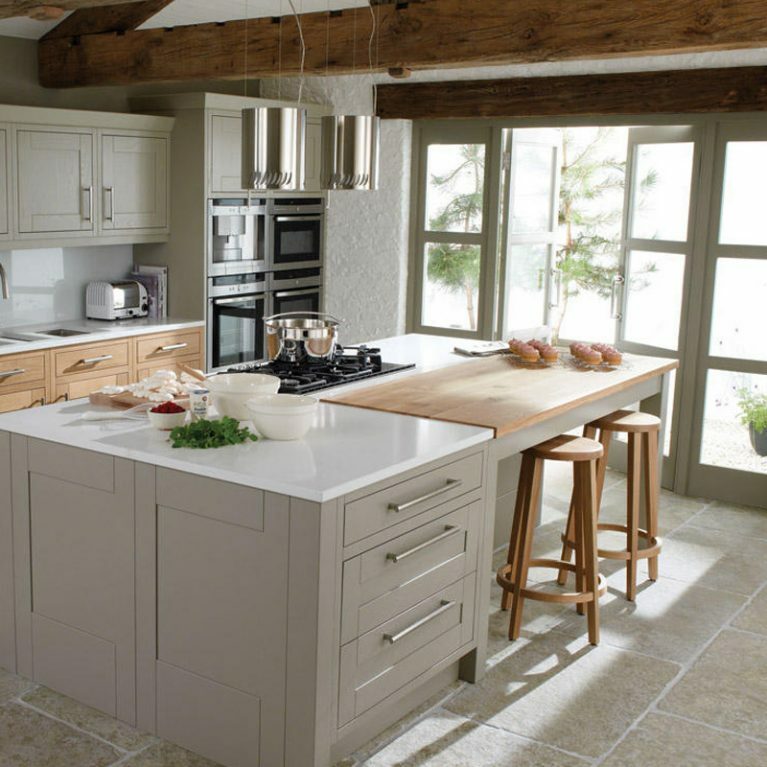 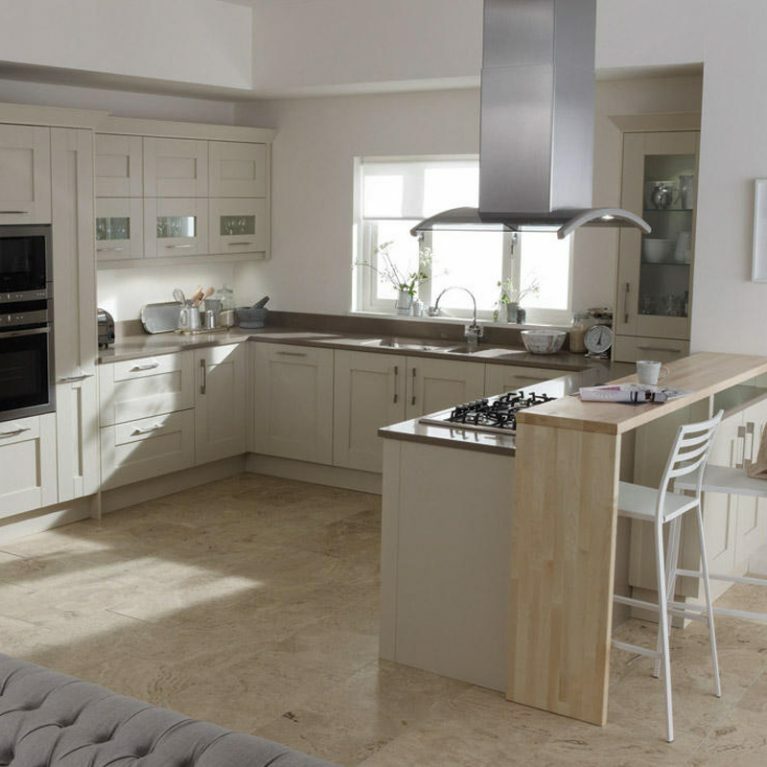 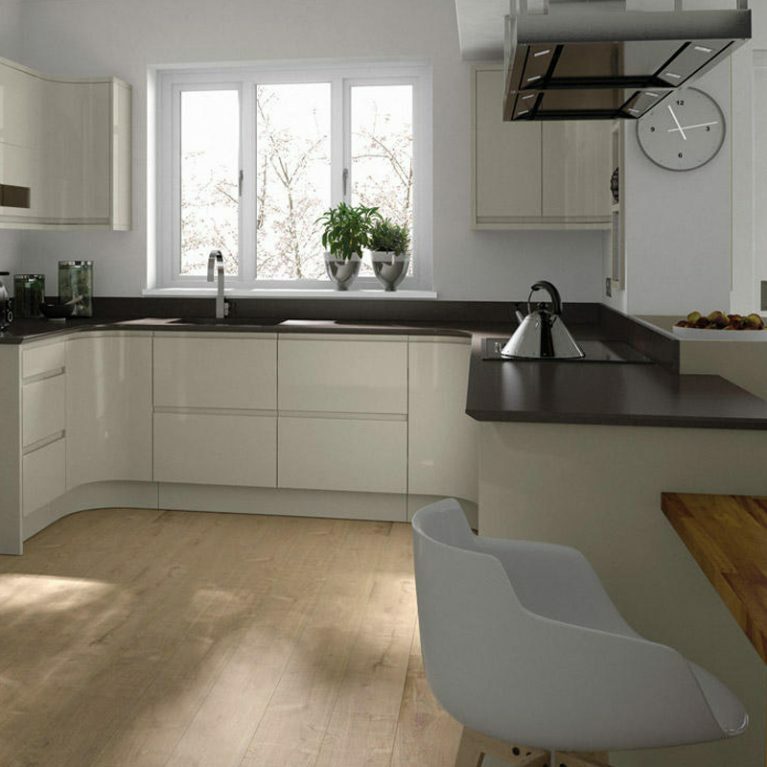 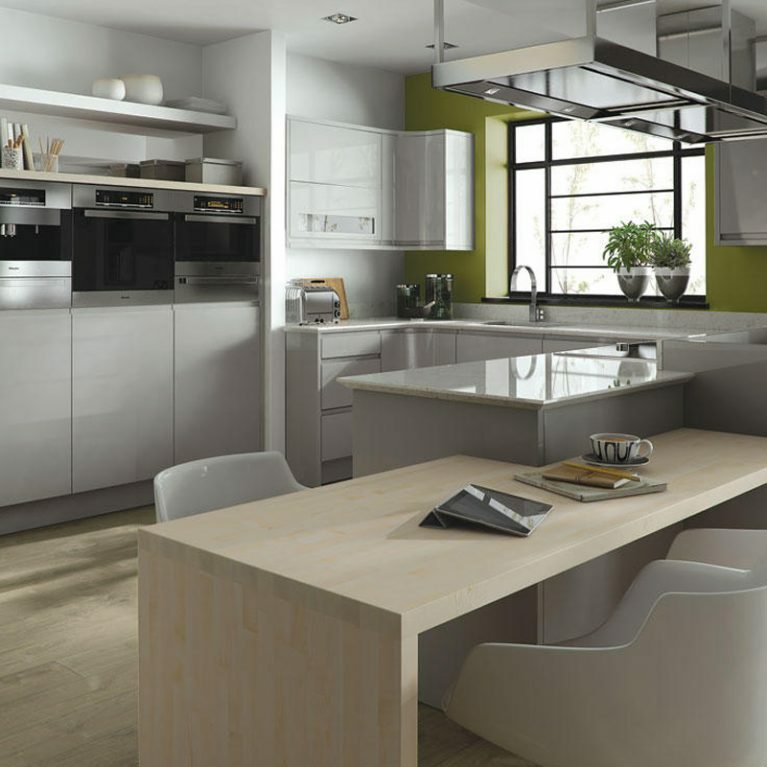 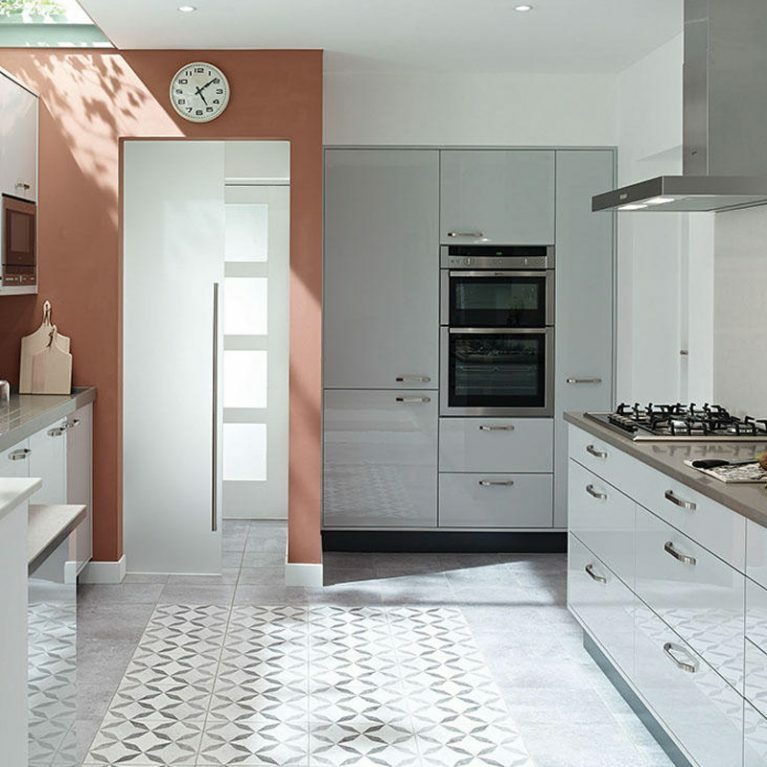 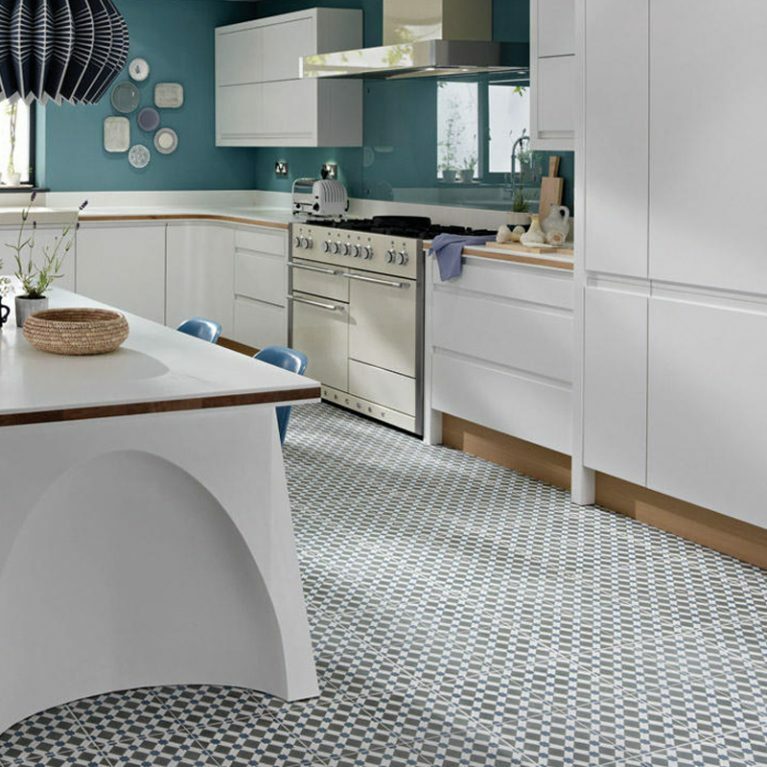 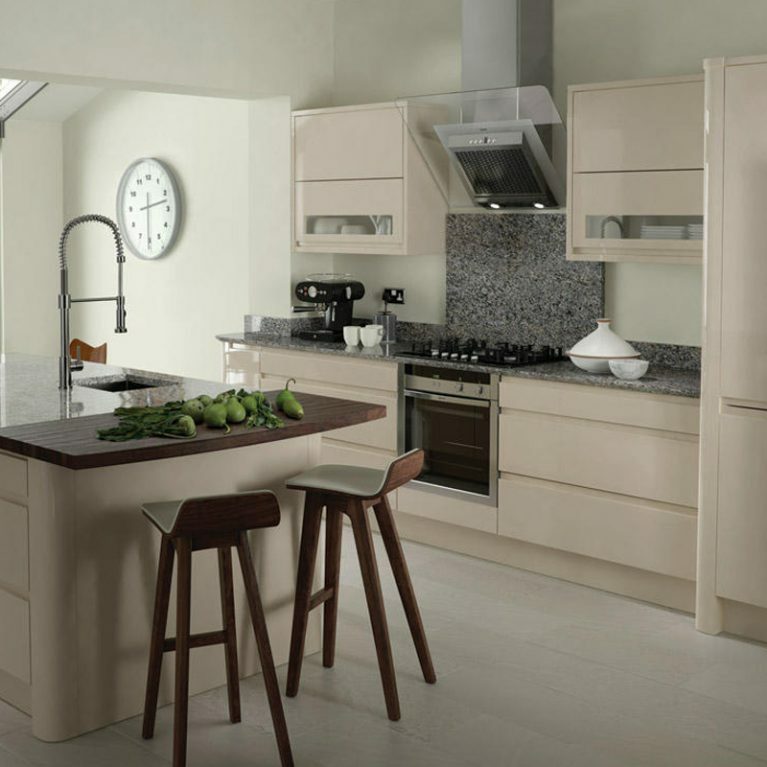 The Remo Porcelain from Number One Kitchens is no different, beginning with a stunning foundation of porcelain white, which is a flawless neutral shade that lends itself seamlessly to a host of different colour schemes. 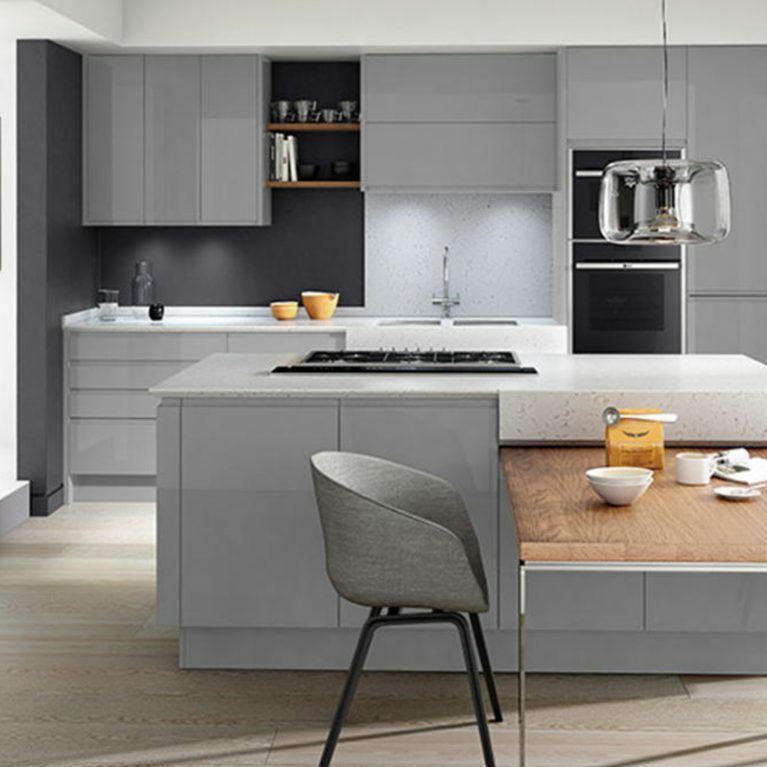 As a contrast to the gorgeous white cupboards featured in the Remo Porcelain design, there is also a section of graphite grey cupboard doors along one wall, adding a real depth to your bedroom design and creating a stunning juxtaposition from the bright porcelain white. 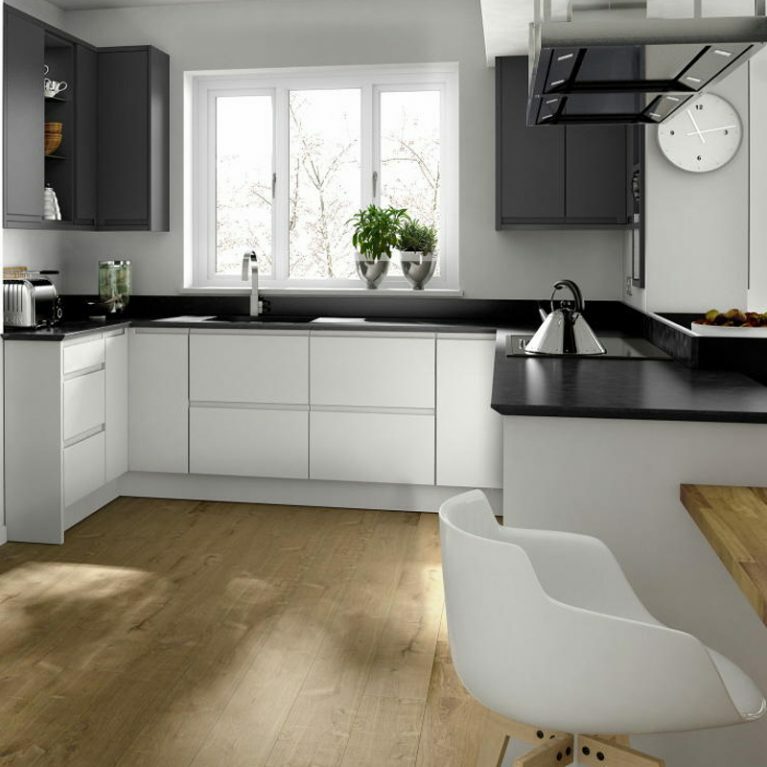 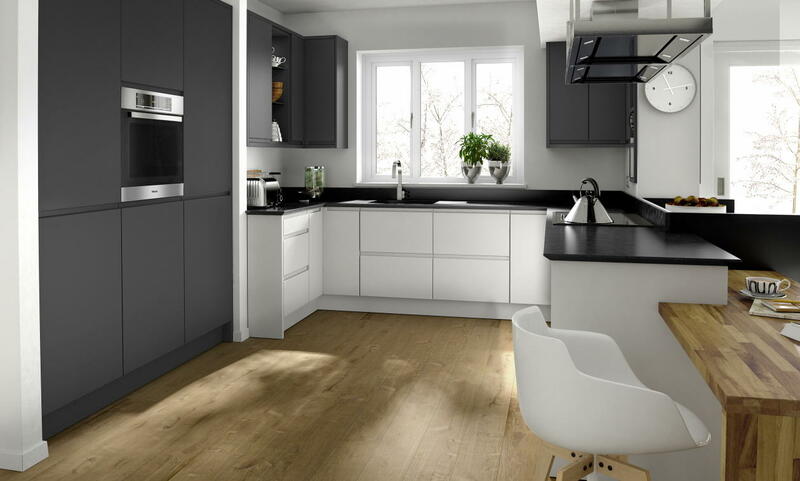 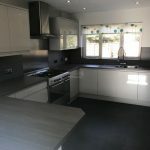 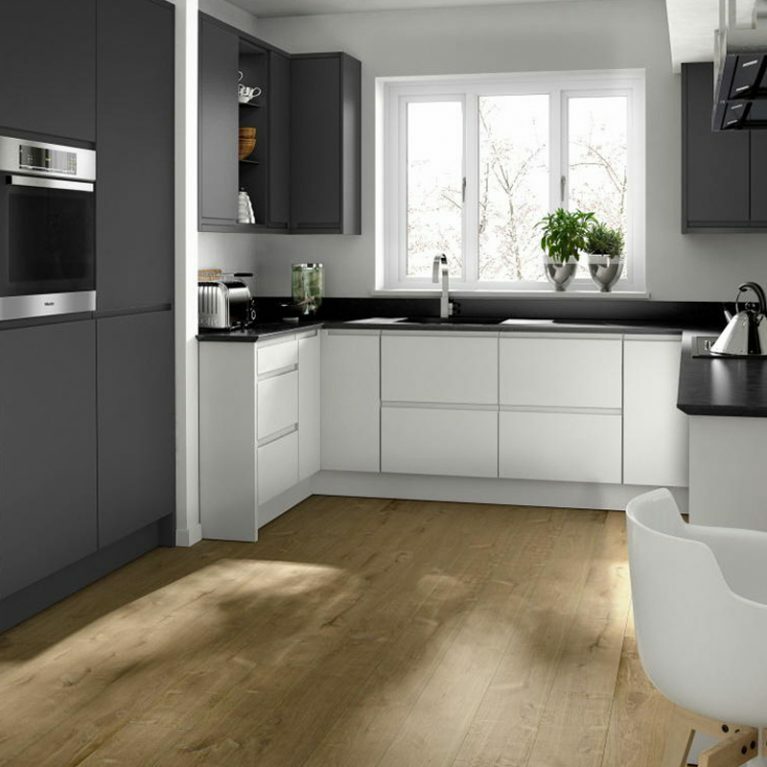 Finished with a glossy black work surface, you’ve got a flawless end result which ties all three shades together, with multiple light and shade hues combining for a sassy and sophisticated finish. 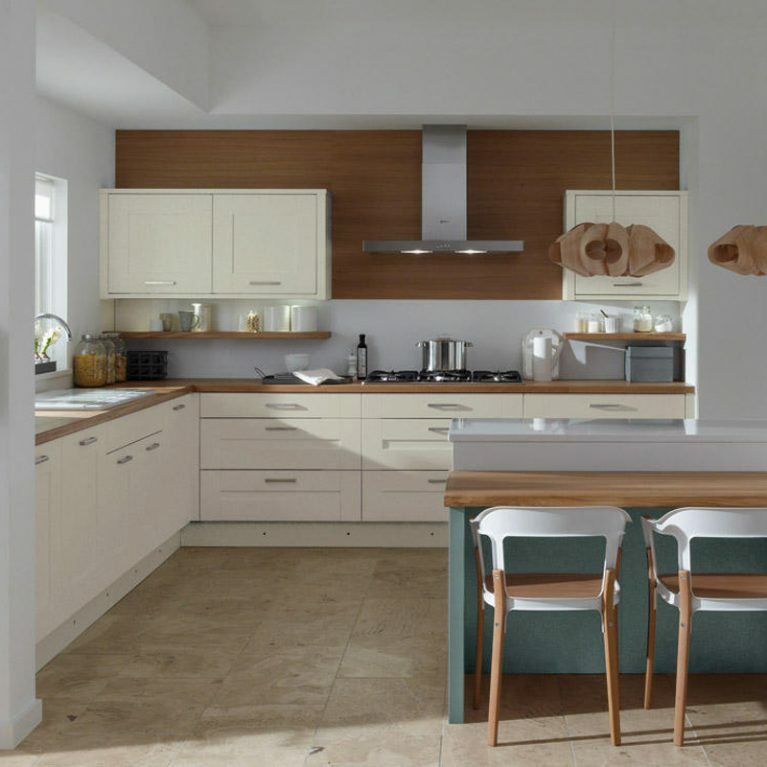 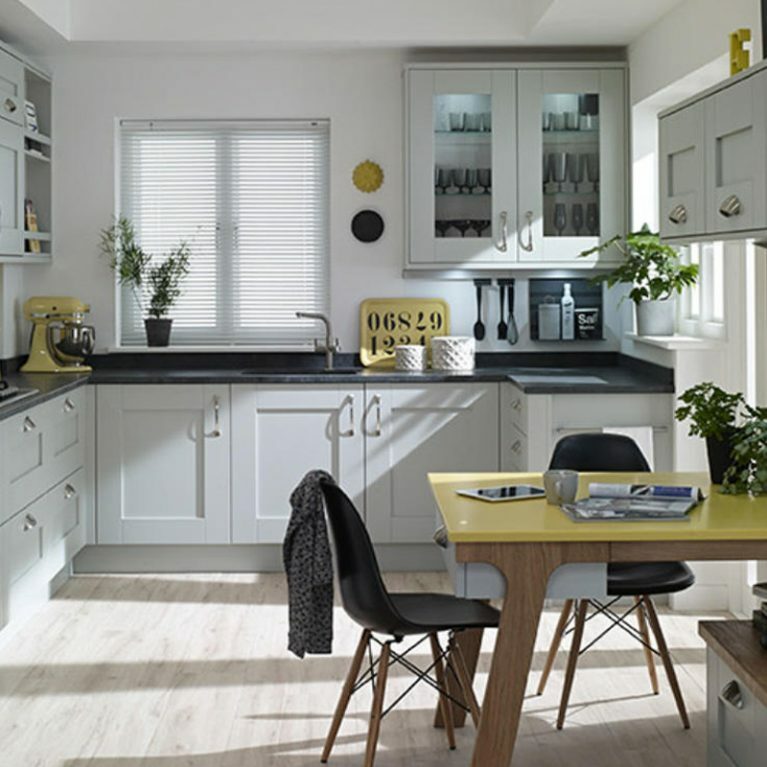 Upper and lower kitchen cupboards offer plenty of storage with the Remo contemporary kitchen in porcelain, which will offer you a multitude of storage solutions in order to keep clutter at bay and house all of your much loved kitchen accessories. 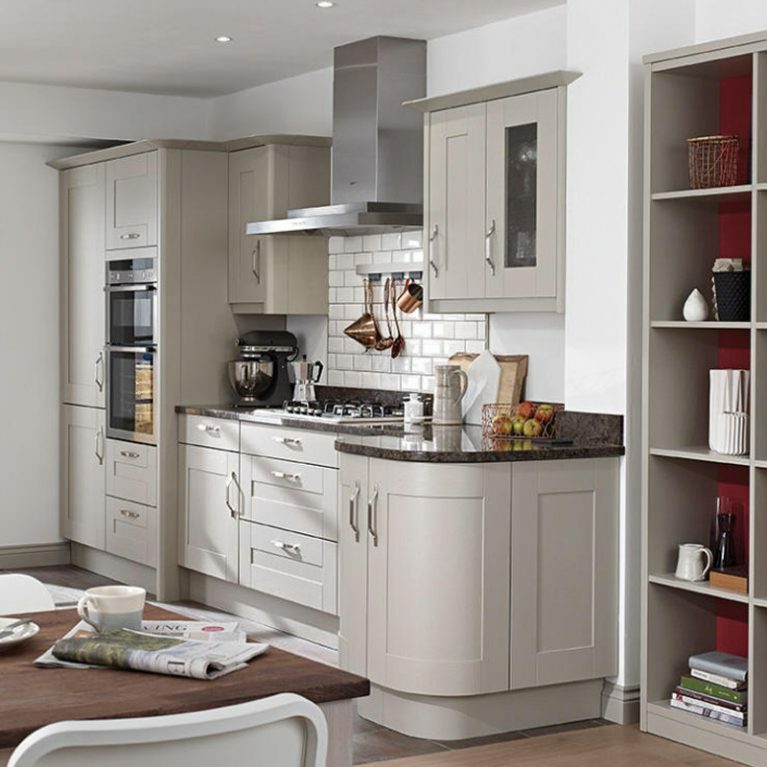 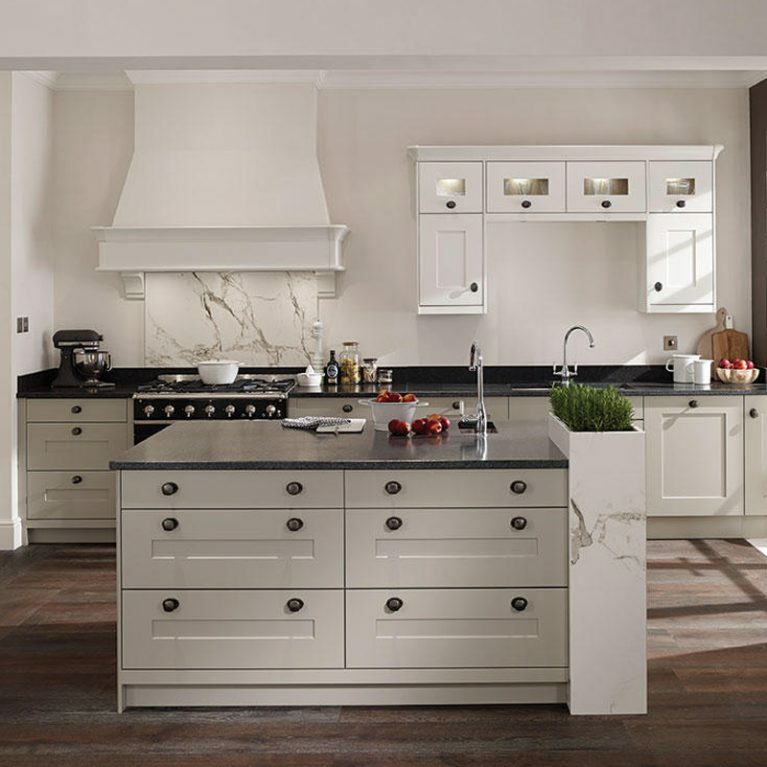 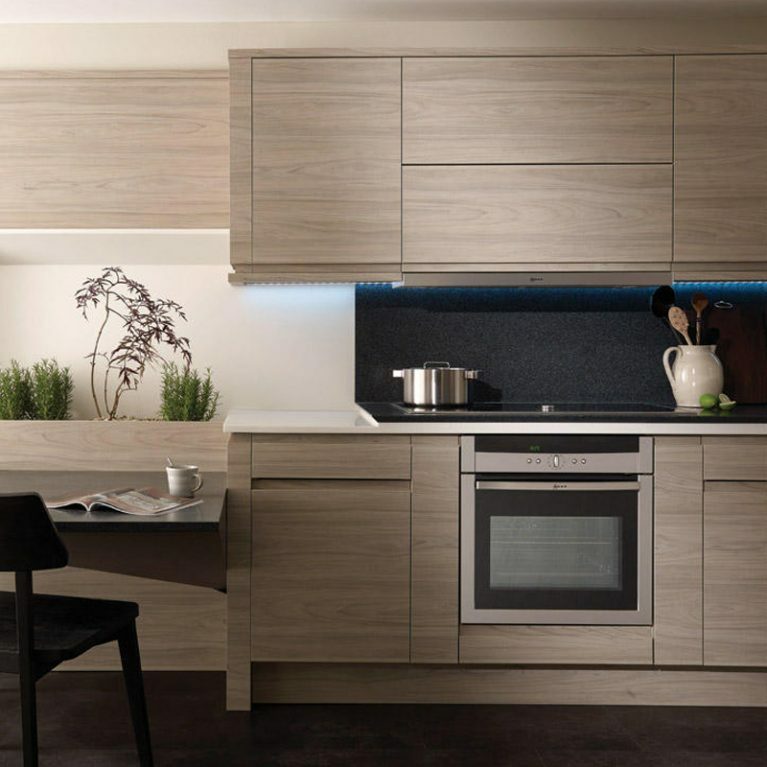 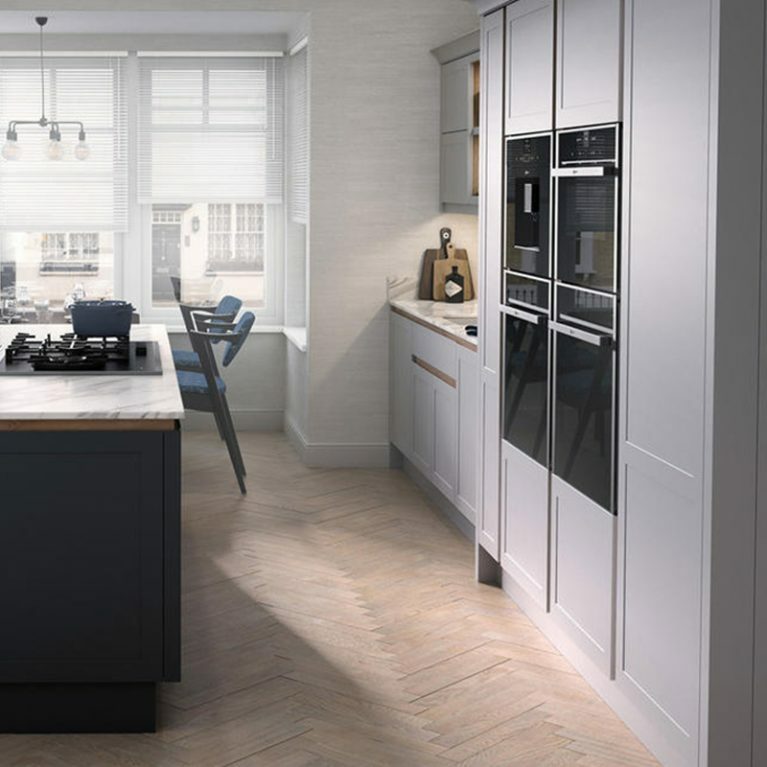 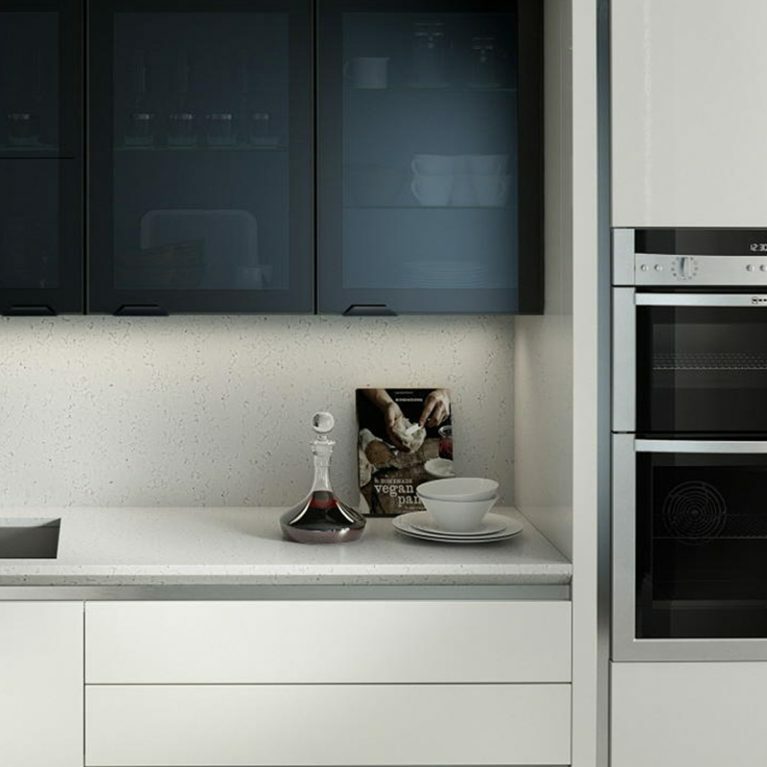 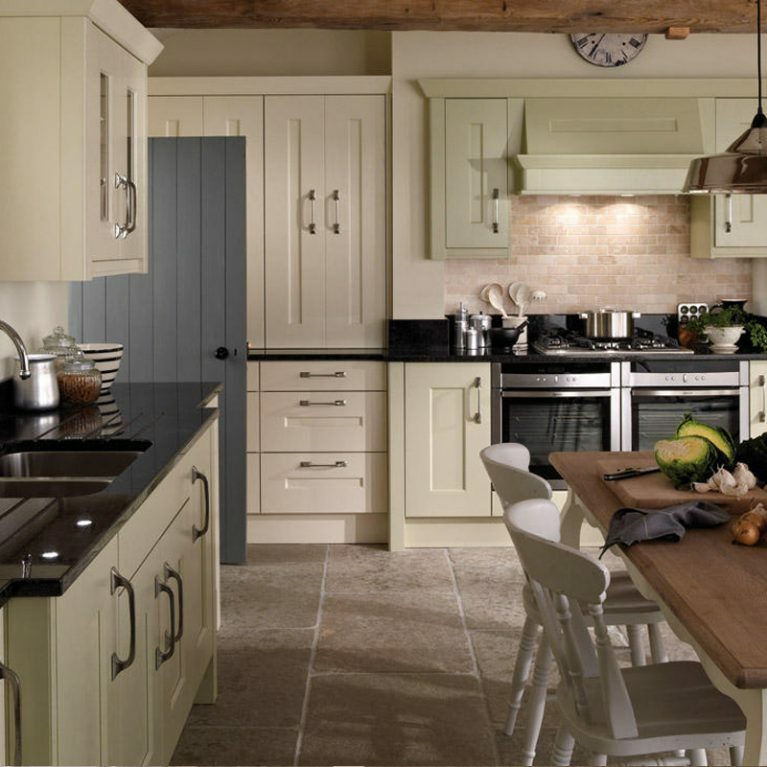 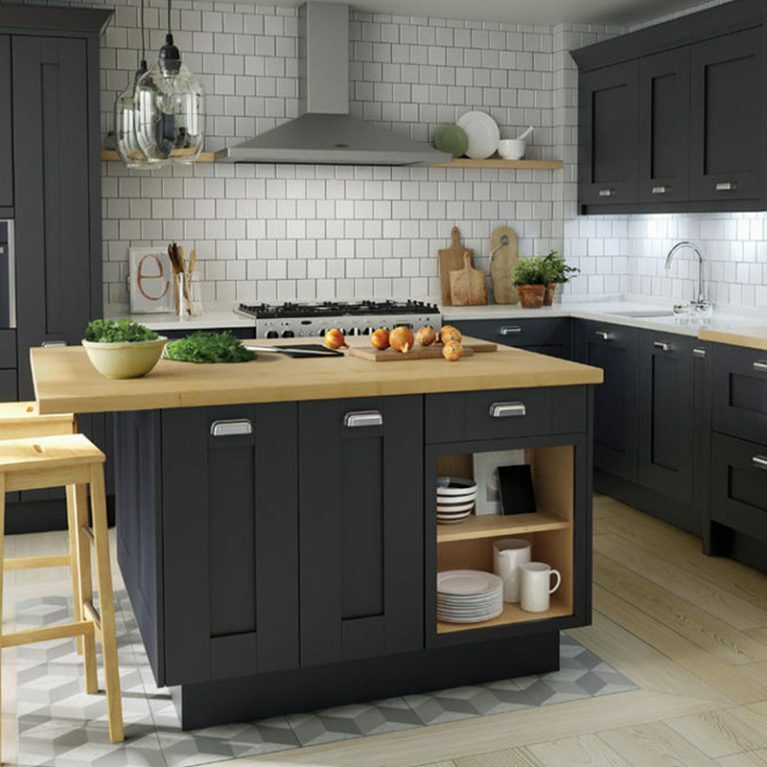 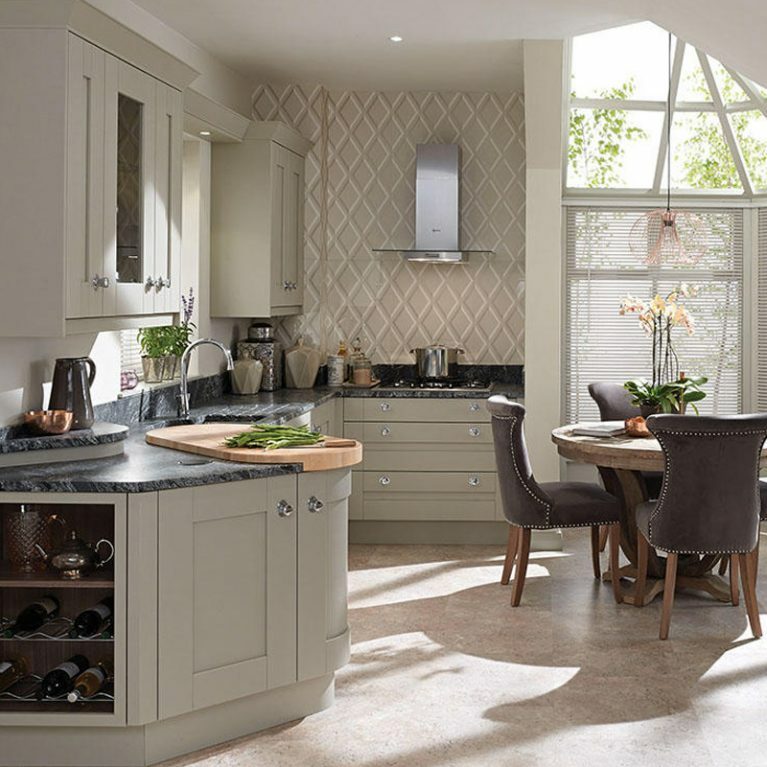 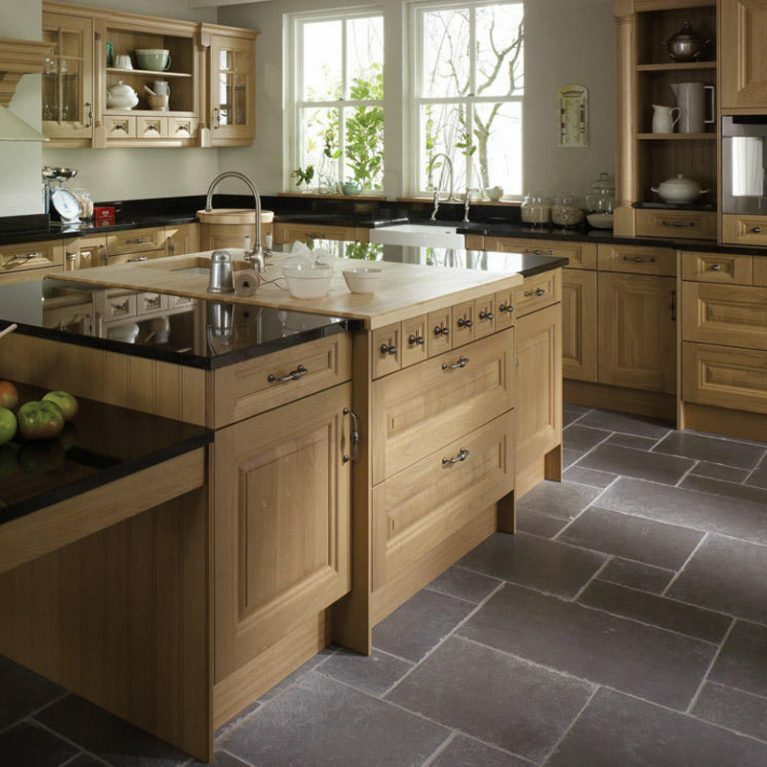 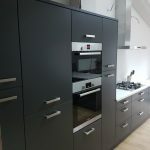 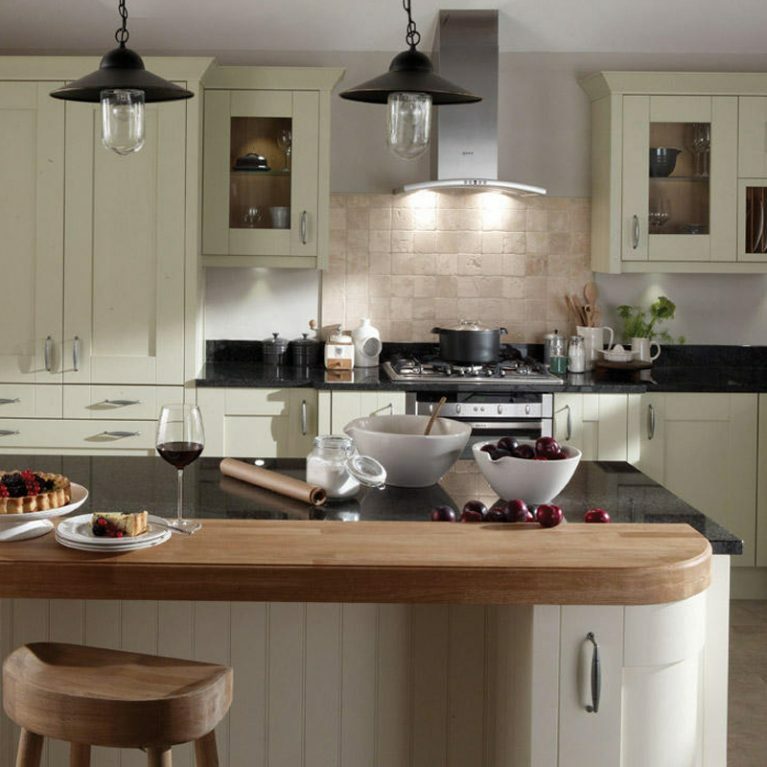 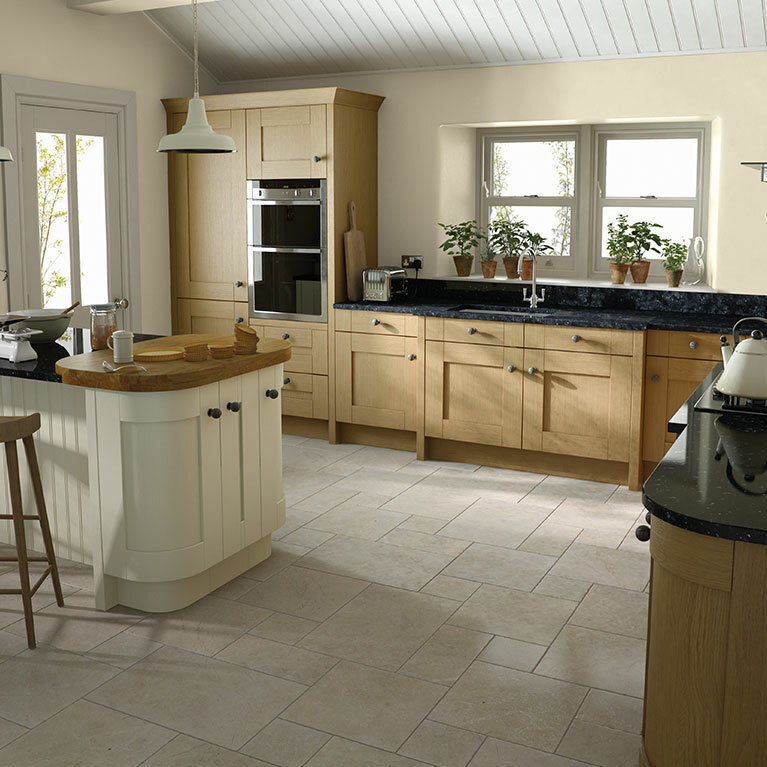 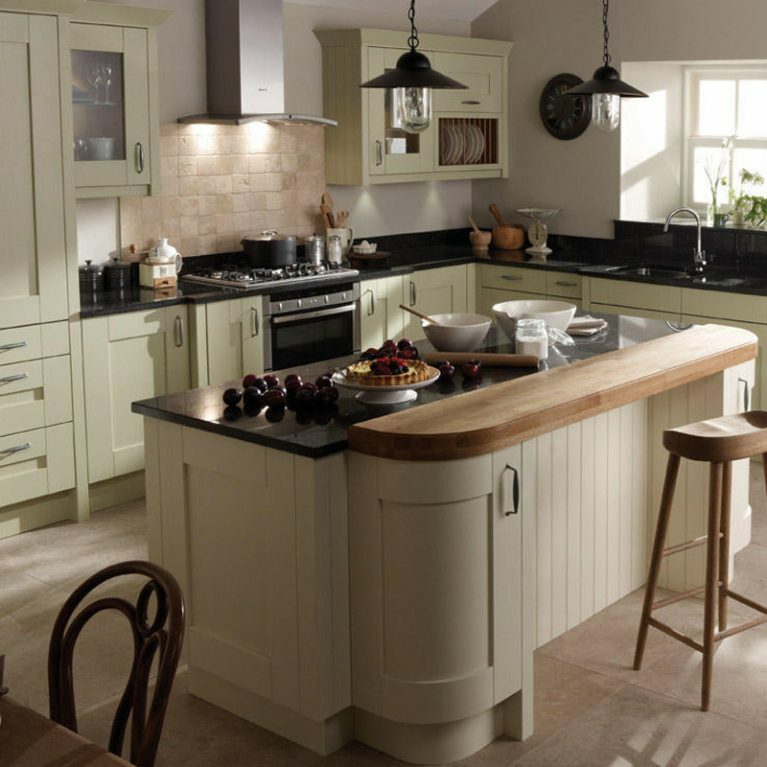 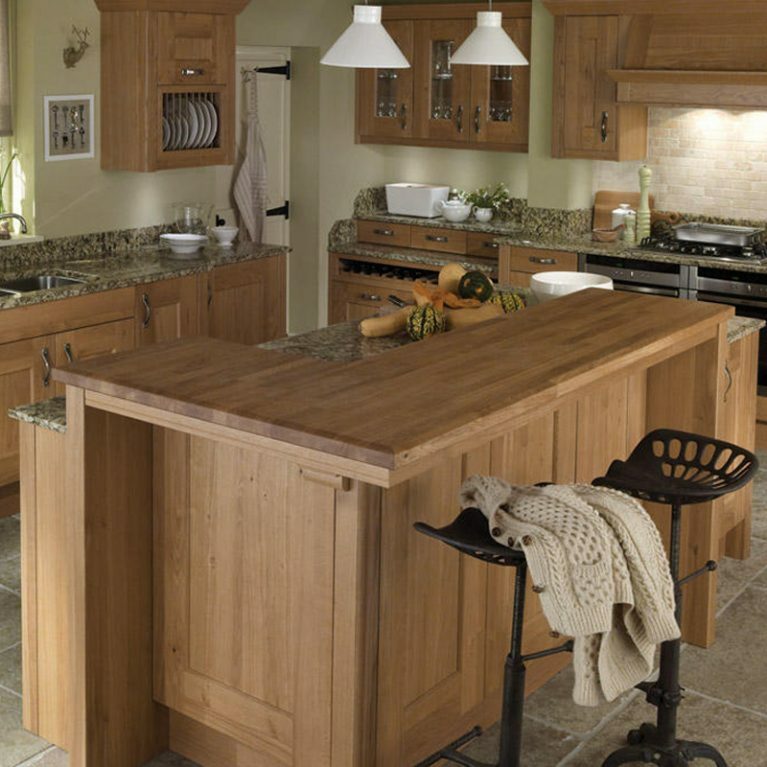 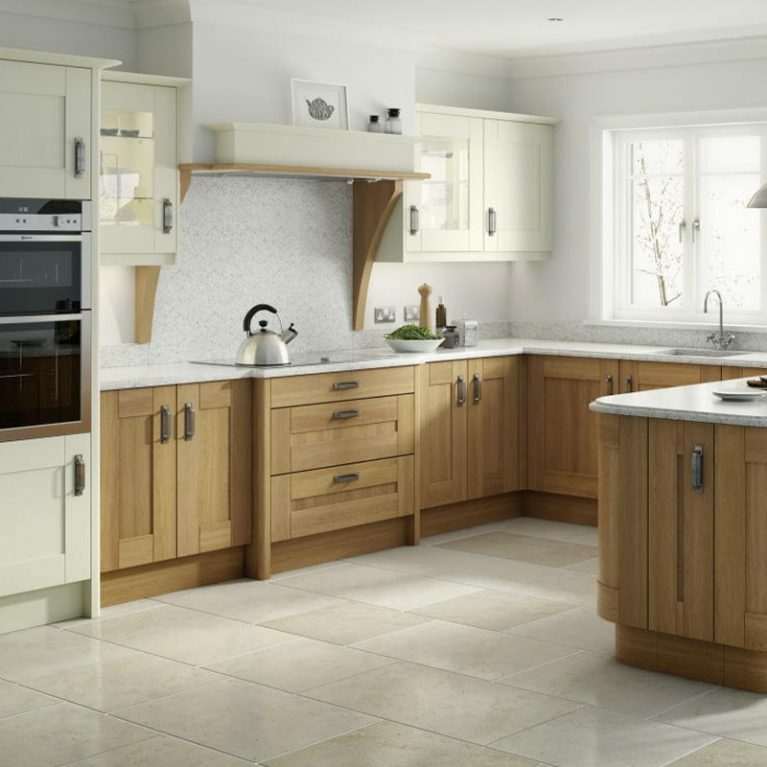 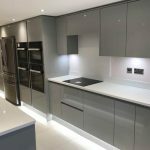 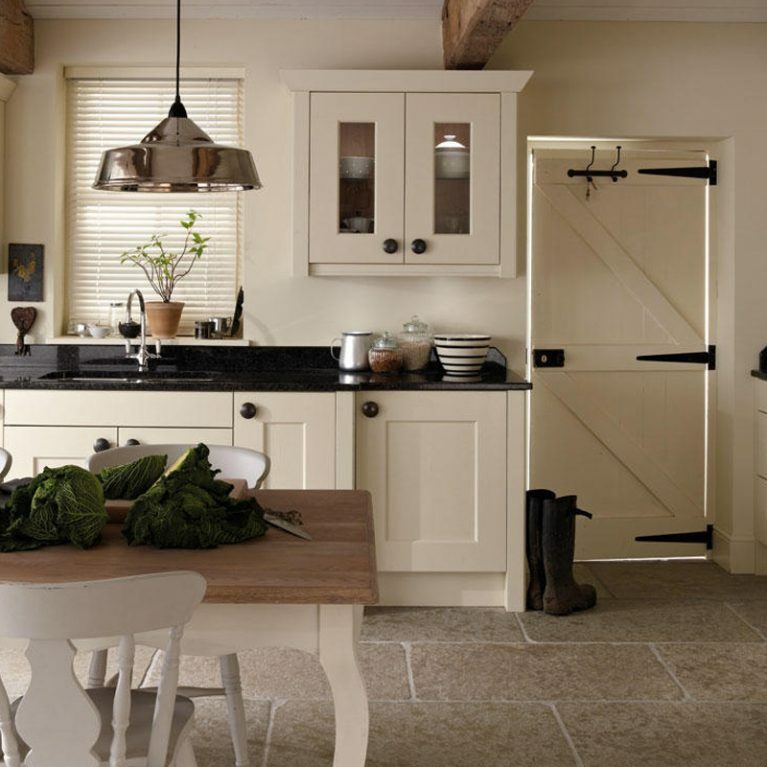 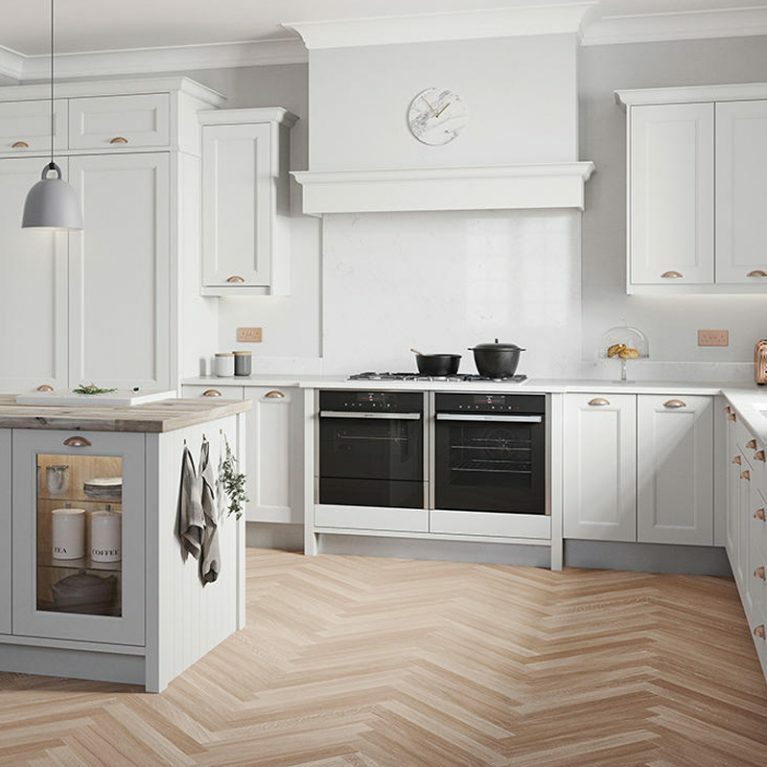 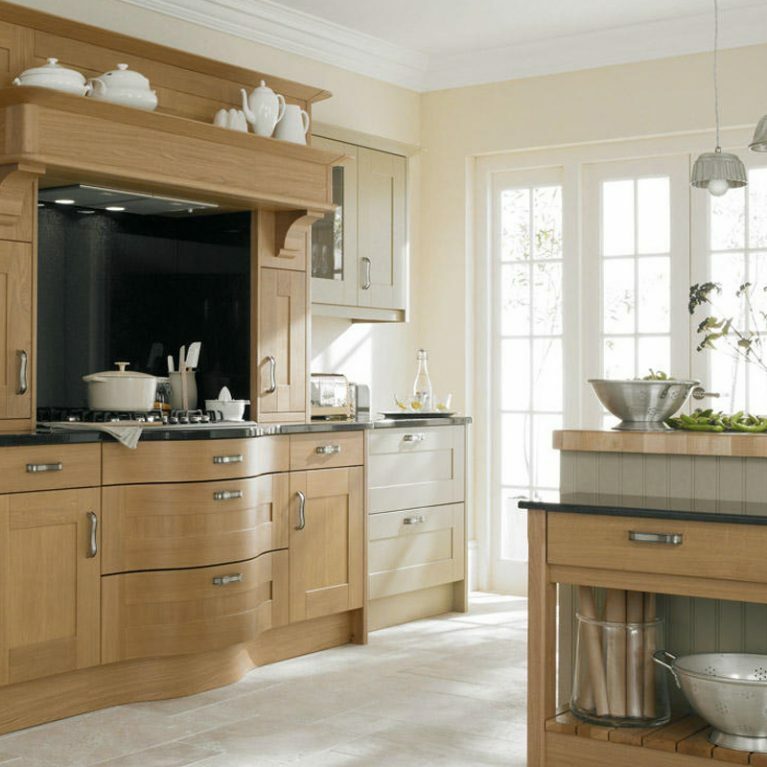 Each of the kitchen cupboard doors are finished with an inbuilt handle which offers an incredibly seamless finish to the design, as well as a practical option for ease of opening. 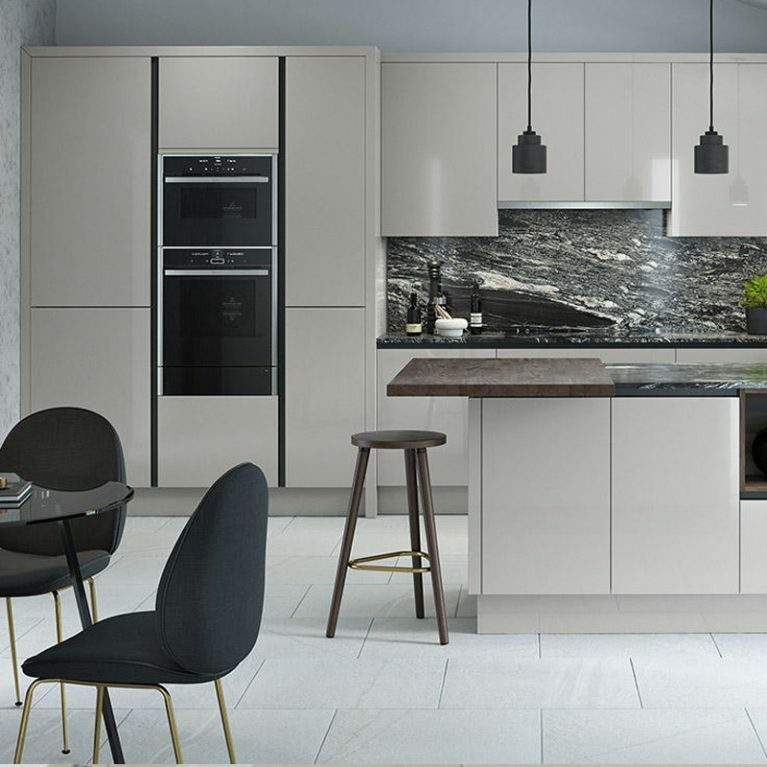 Also featured are a few beautifully finished handleless doors which create a smooth end result that is oh so contemporary and cool. 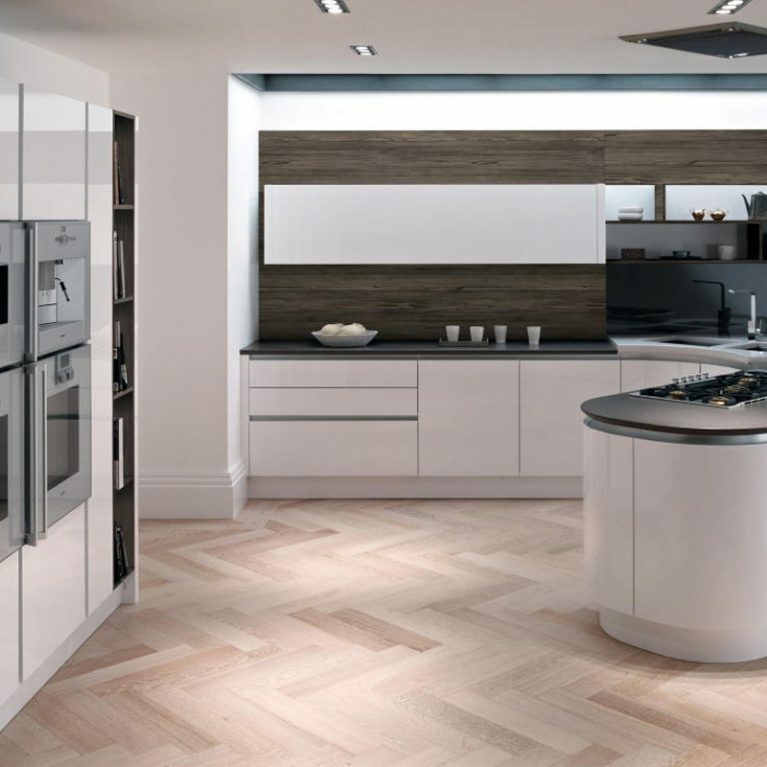 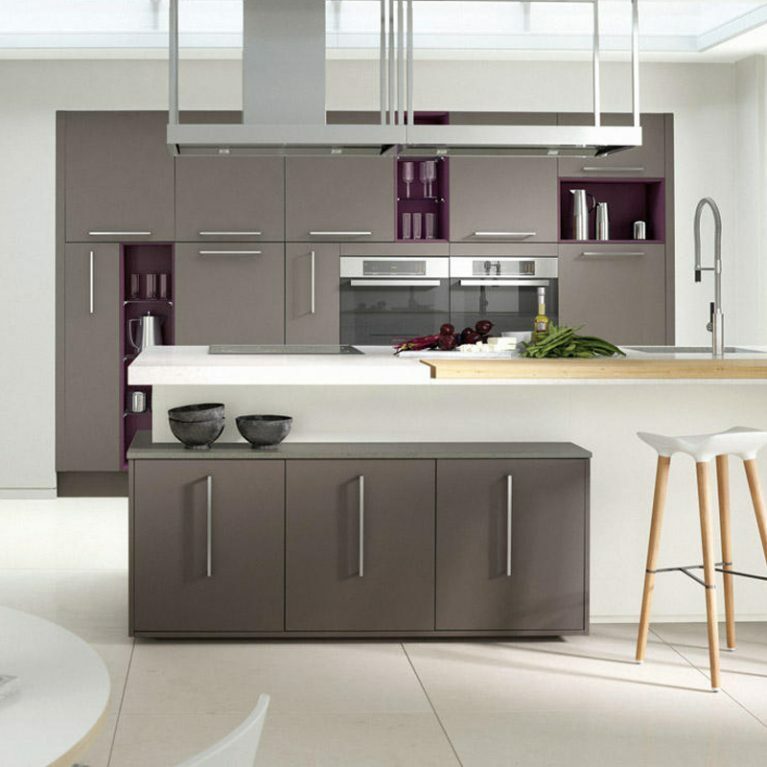 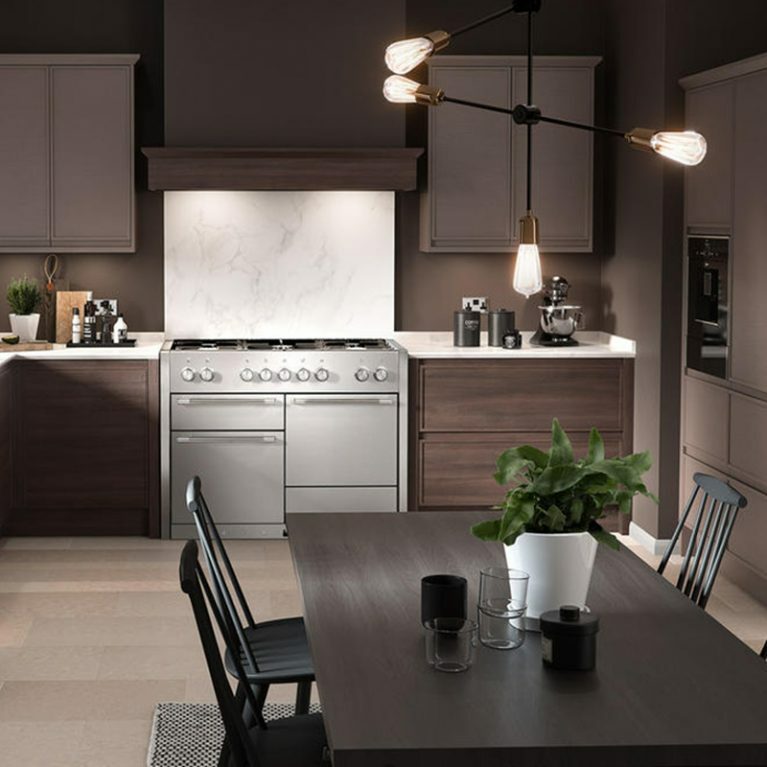 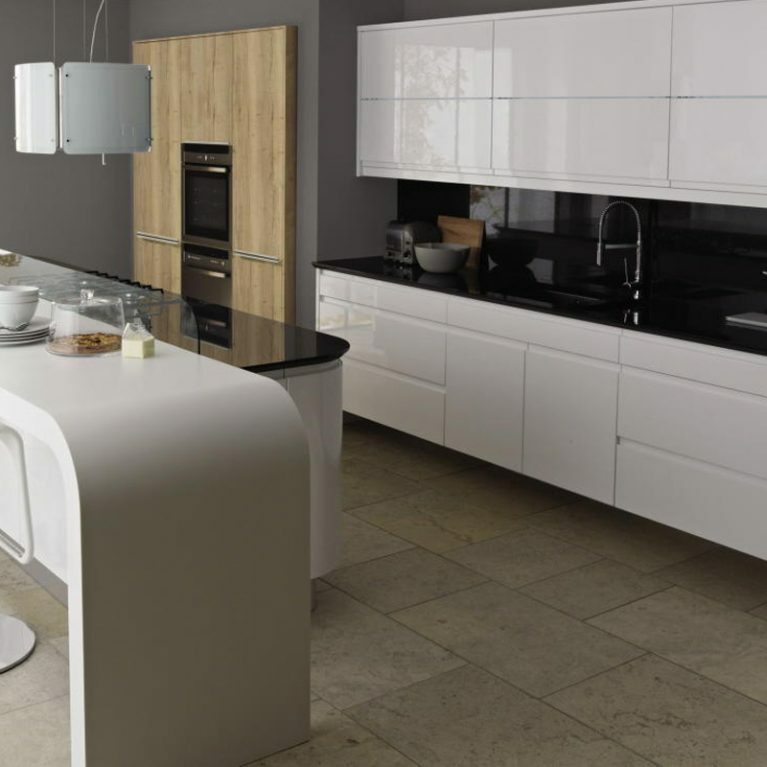 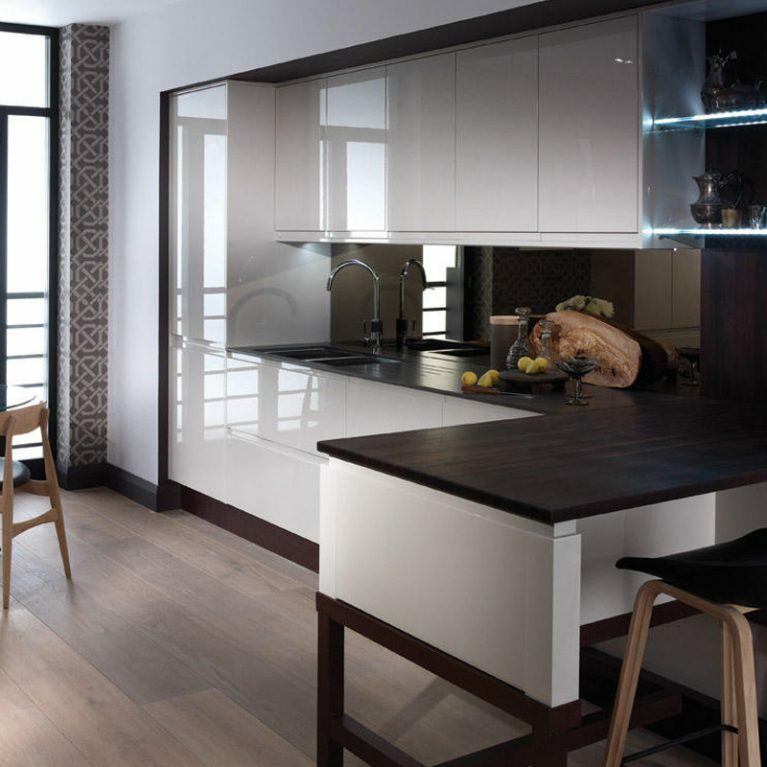 Number One Kitchens puts the power in your hands when it comes to bringing your Remo contemporary kitchen in porcelain to life within your home. 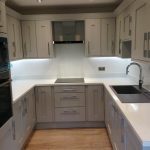 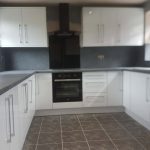 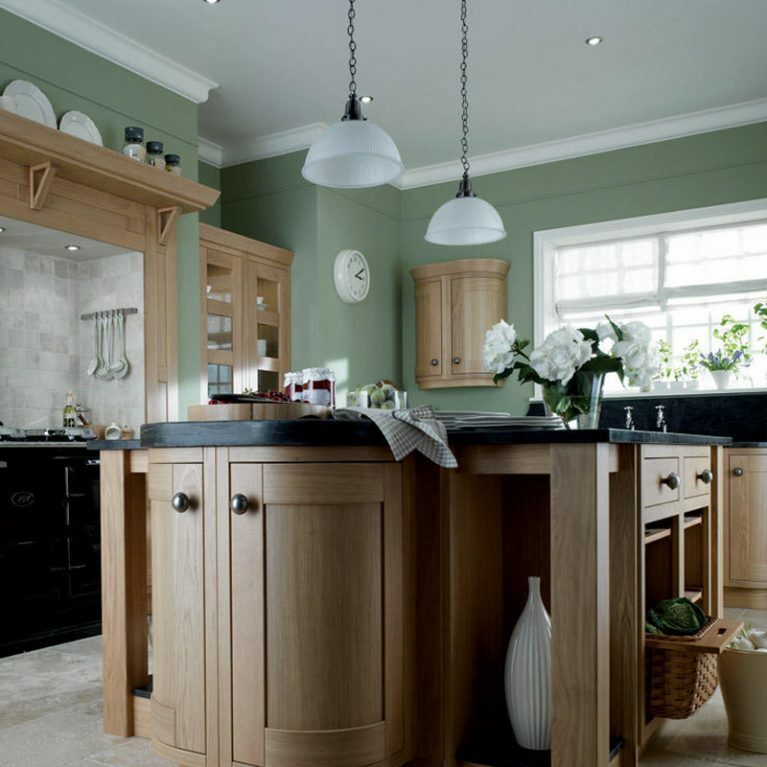 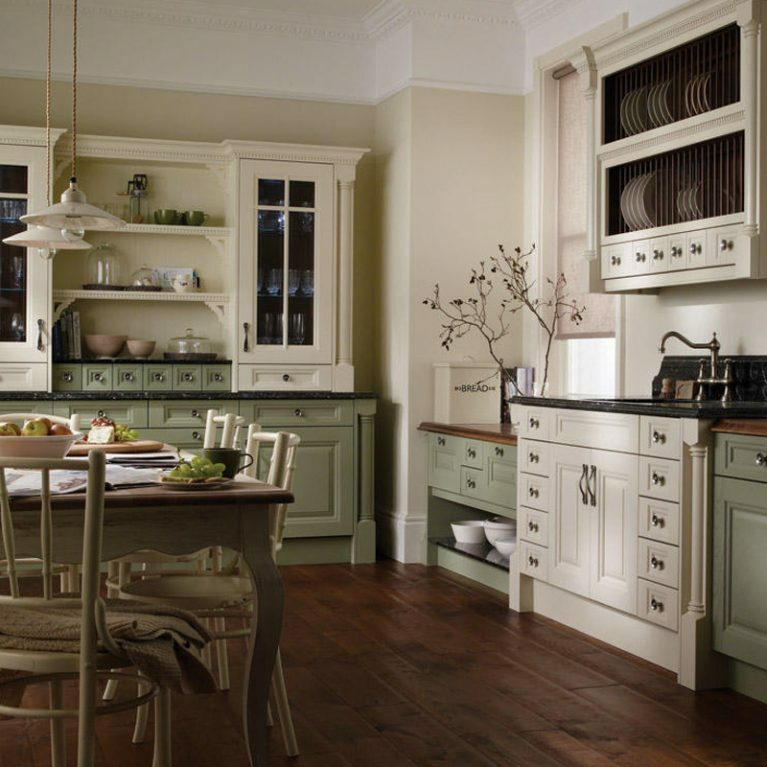 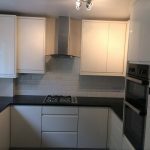 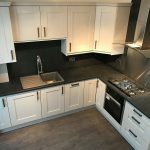 We offer a range of 27 different colours available to choose from, ranging from your more pale and neutral hues to those that are a little darker and more bold. 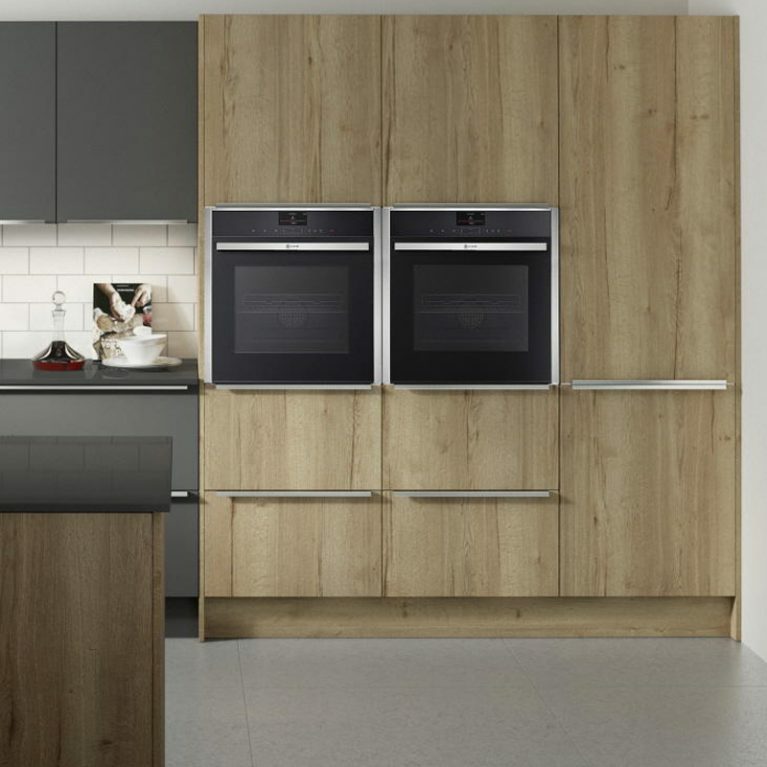 Each of the colours is available in either a matte or gloss finish, allowing you to pick based on what suits your preferences best.